Will a Postmodern Icon be "Glasswashed"? 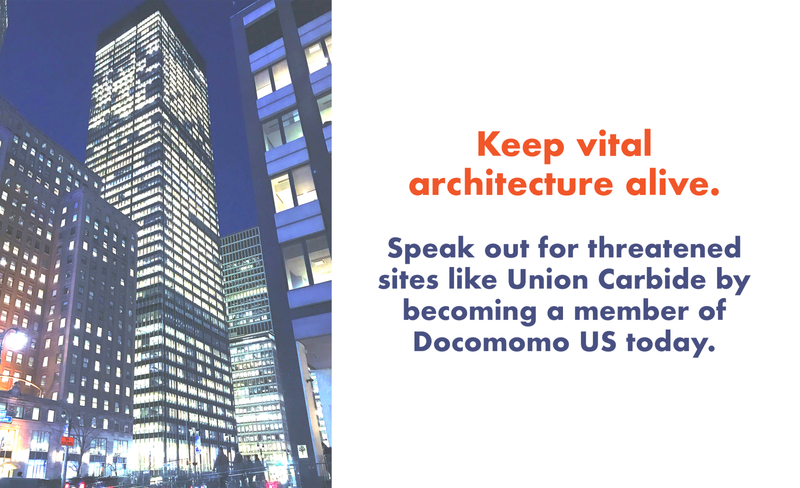 Docomomo US and Docomomo US New York/Tri-State are asking members to write NYC Landmarks Preservation Commission Chair Srinivasan and urge them to designate the former Union Carbide Building located at 270 Park Avenue as an individual New York City Landmark. Docomomo US has a number of pre-addressed postcards that can mailed upon request. Contact info(at)docomomo-us.org for more information. Docomomo US encourages members, colleagues, scholars, students and architecture buffs to submit new buildings and sites to the Explore Modern project. Compile basic pieces of information and submit it to us. Why are you submitting this site? 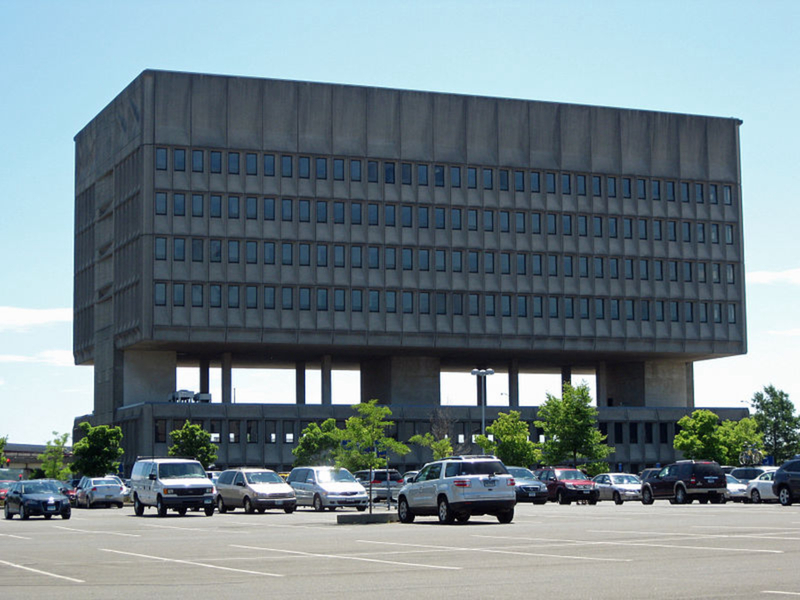 The Armstrong Rubber Co./Pirelli Tire Building is a fantastic embodiment of the design ideals held by architect Marcel Breuer. The building is composed of a two-story research and development structure at grade, with four stories of administrative offices “hanging” above. Between these two building parts is a 2-story gap, giving the administrative tower portion the illusion of suspension. Enveloping the entire building are pre-cast concrete panels of varying scale and design, depending on the function they enclose. The panels provide protection from the sun, a Breuer preoccupation, and give the façade a tremendous physicality and depth. The end result is a continually changing impression of the building, depending on the day, season, and weather.